Strikes For Tikes™ enables baseball teams to offer community involvement programs that benefit local charities quickly and easily. For many towns and cities, your baseball teams represent a huge part of the community. They provide jobs and income to the residents, family-friendly outings for kids and parents, and something to look forward to every summer. Strikes For Tikes™ is a way for your team to give back – by helping those who help others your community. Serving as a catalyst for community partnerships, amateur and minor league baseball programs can engage their fan base from the grassroots up. By supporting programs that help the kids in your town, enlisting fans – young and old – in season-long strikeout tracking, and engaging the local business community to rally around a common purpose, your teams can make a real difference. "The program has raised a total of $174,000. That's a lot of happy fans and deserving charities." Treasurer — Winnipeg Goldeyes Field of Dreams Foundation Inc. So, how does it workkkkkk? 1. FAns pledge per "k"
Through a collective outreach effort with your team, we collect per-strikeout pledges from fans and businesses in the community. Your team takes the field and we track the total number of home strikeouts during the season. After a post-season check presentation ceremony for the team, we donate the total amount on your behalf to the local charity of your choice. In 2001, Steve and Bonnie Heller were third in line for Winnipeg Goldeyes’ season tickets at the new stadium. With seats right behind the dugout, they began the tradition of hanging ‘K’s for every strikeout, handmade by Bonnie and laminated by Steve. 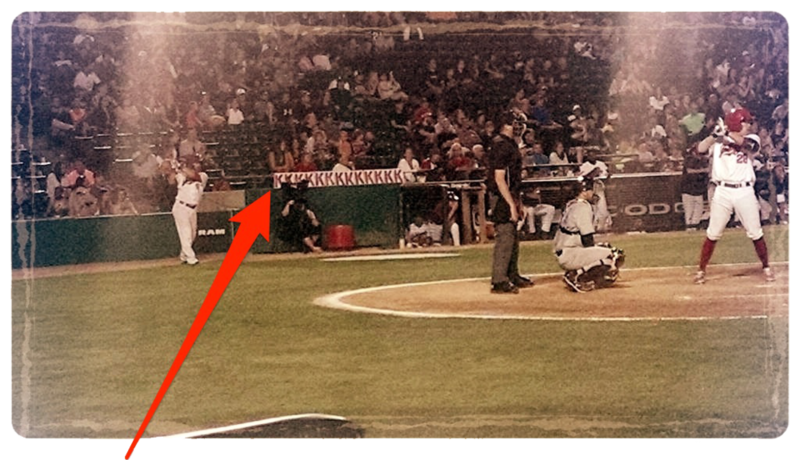 Fans would pledge a small amount for every home strikeout the Goldeyes recorded; The money collected would go to the team’s foundation and be distributed to local charities that help children. The response was overwhelming – and Steve and Bonnie’s dream was born. The Winnipeg Goldeyes’ fans contributed $1,237.65 in the first year of the program. Now, they raise an average of $14,000 per season, and have given more than $185,000 to local charities.